There’s an adage in politics that if you don’t like something where you live, run for office and fix it yourself. That’s exactly what Evelyn Sanguinetti did. After falling on a bad sidewalk and severely injuring herself, she ran for city council and earned the nickname ‘Sidewalk Lady’ in Wheaton, Ill. During her tenure, she made fixing the city's sidewalks a priority. Now, she says, "they're beautiful." Fast forward a couple of years, and she’s now the lieutenant governor of Illinois. She’s the first Hispanic to hold statewide office in Illinois and the first Latina lieutenant governor in the country. Chris Gregoire on the "Bloodsport" of Politics Meet Mary Taylor. She Wants to Be Ohio's First Female Governor. Why’s Pennsylvania's Lt. Governor Behaving So Badly? It's important to Sanguinetti, a Republican, that more women get involved in public service -- regardless of their political affiliation. “We have strength in numbers,” she says. Particularly as a Latina, Sanguinetti wants the younger generations to see people in power who look like them. 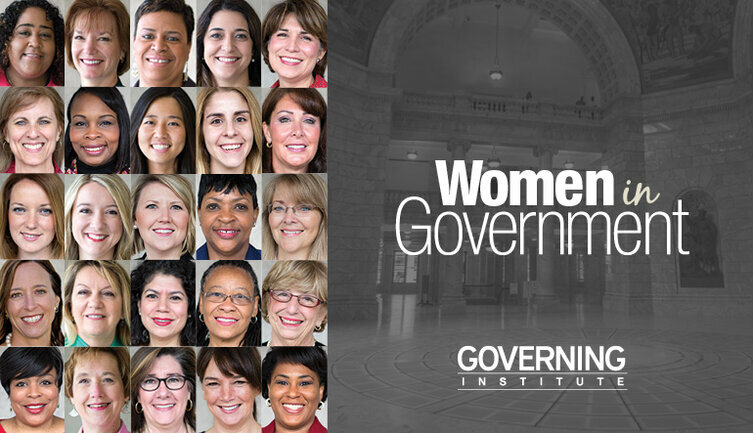 On this episode of "The 23%: Conversations With Women in Government," we spoke about all that plus how she's taken an active role in rural issues, which came with a bit of a learning curve for someone originally from Miami. Listen below. You can also subscribe to the podcast on iTunes or Stitcher, and check out our archives.